In this installment of the Monday WAFL we speak to Sandover medalist Jye Bolton as well as Perth defender Michael Sinclair. Tune in to hear discussion on last round's results, next week's games as well as the highly anticipated Monday rumble topic (socks up or socks down?). It's all happening in this week's edition of the Monday WAFL podcast! Should there be more Friday night and Sunday arvo scheduling? 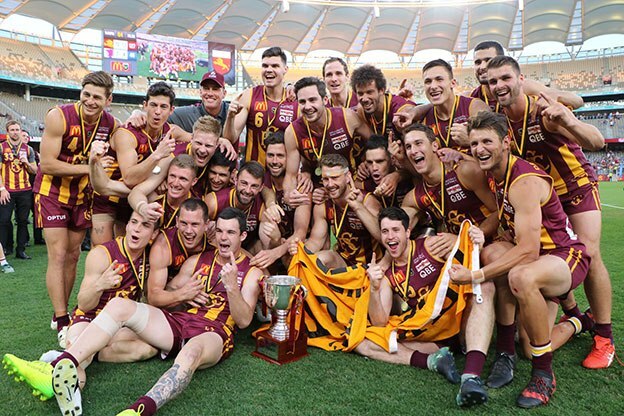 We kick off the 2019 WAFL season with a summary of list changes and predictions for each team. We also hear from inaugural Eagles WAFL coach Luke Webster and commentator Mark Readings. Anna Hay is on the podcast for the first time since Round 1, so you know it's going to be good listening. Plus we discuss our opinions on East Perth's request to cease its affiliation with the Eagles. Stew, Annabel & Chloe discuss the weekend's action with discussion given to Annabel's death stare at Stew! Tom Curren from Claremont join's the crew on this week's episode. Episode 5 is live! Stew, Sam, Steph and Chloe wrap up Round 5 of the WAFL. East Perth won their third match in a row, smashing Peel. Episode 1 is live. We kick of the 2018 WAFL season with a recap of the Easter long weekend games. Subiaco are leading the ladder after round 1. They dominated East Perth 29.14(188) 10.10(70).